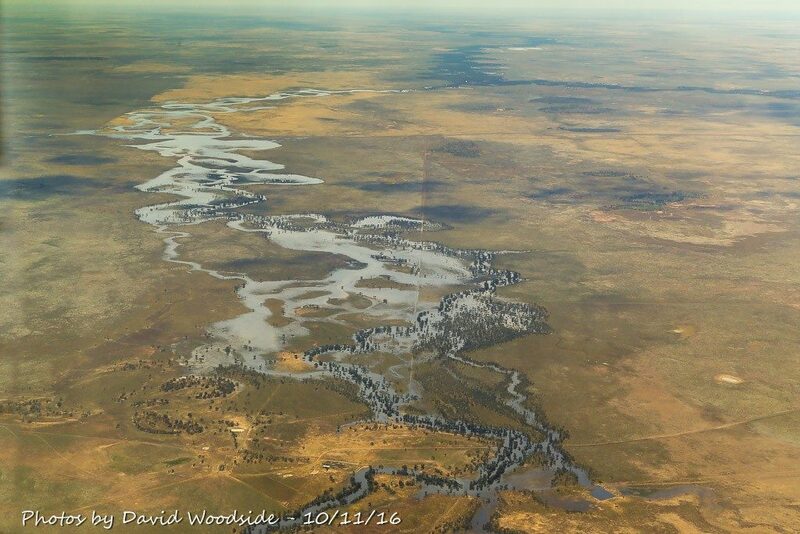 On Thursday (10th November 2016) we did a flight, Griffith to Lake Ballyrogan ( Brewster) east of Hillston and followed the Willandra Creek out towards Ivanhoe. 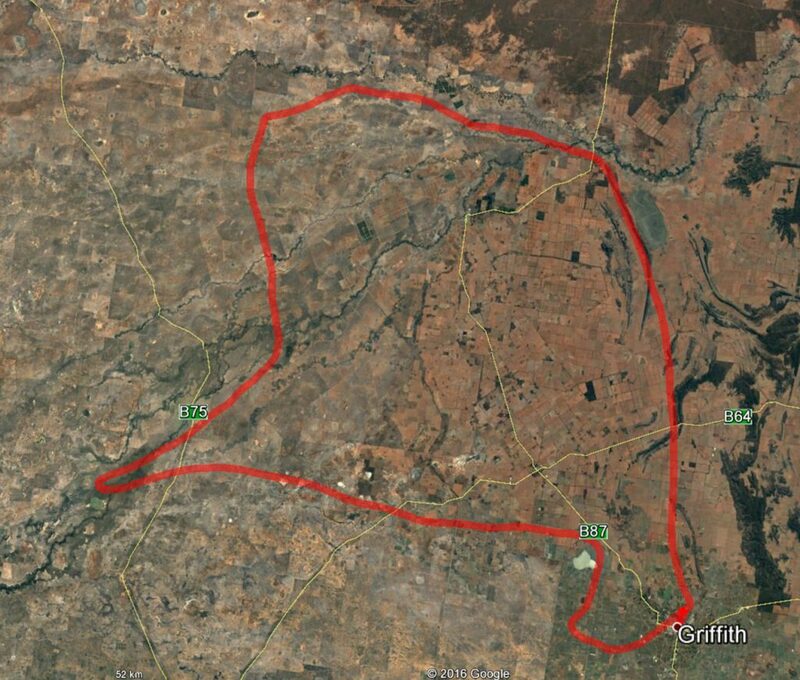 From there we tracked south to Booligal and back to Griffith. The Mirrool Creek did reach the Lachlan but has pretty well run out of steam. From Lake Brewster to where the Lachlan river joins the Murrumbidgee River is very flat – probably a fall of about 60m over 200km. 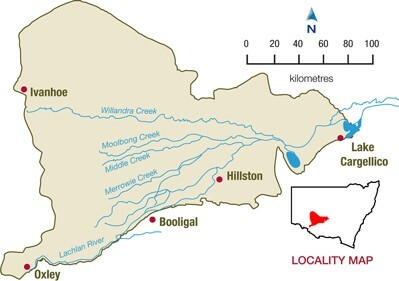 Consequently there have developed a series of creeks that flow westward and carry quite a bit of water in flood times (see map below – NSW Department of Primary Industries). Some of these creeks have off-takes (weirs) such as the Willandra and Merrowie creek. This area is also known as the “Overflow” area and is where Banjo Patterson wrote the immortal poem “Clancy of the Overflow” (1889) depicting a romantic view of rural life. It is thought the poem is probably based on Thomas Clancy, an overseer and drover around central NSW from the 1860s to the 1880s who was moving a mob of sheep along the Lachlan River at that time. Thomas Clancy also had a brother, John Clancy, who lived in the region, a drover and who worked on a station called “The Overflow” near Nymagee (between Hillston and Cobar). It is likely that both brothers contributed to Paterson’s idealised vision of the bushman. The Clancy brothers spent their early life around Booligal and were drovers moving stock from S/E Queensland to Wilcannia, Mossgiel, Booligal, Hay and on to Deniliquin where stock were trucked to Melbourne markets by rail. The two Clancy brothers, John and Thomas, plus five sons of John and one son of Thomas, were part of the important droving tradition during the second half of the nineteenth century. The google map below shows our flight path to Lake Brewster, along the Willandra Creek, south to the Lachlan River, down to south of Booligal and east to Barren Box Swamp, Benerembah and Griffith. The following photos (of which I took many), shows a patchwork of paddocks, rivers, flooding and streams. Being late spring most of the country has dried off showing the water ways and features. Lake Ballyrogan is also known as Lake Brewster – a name change I believe was not popular with the local community. Willandra Creek (Top RHS) with another creek joining it. This is the 3rd time we have done this flight (or parts of it). The first one was from Hay, Booligal and Hillston. 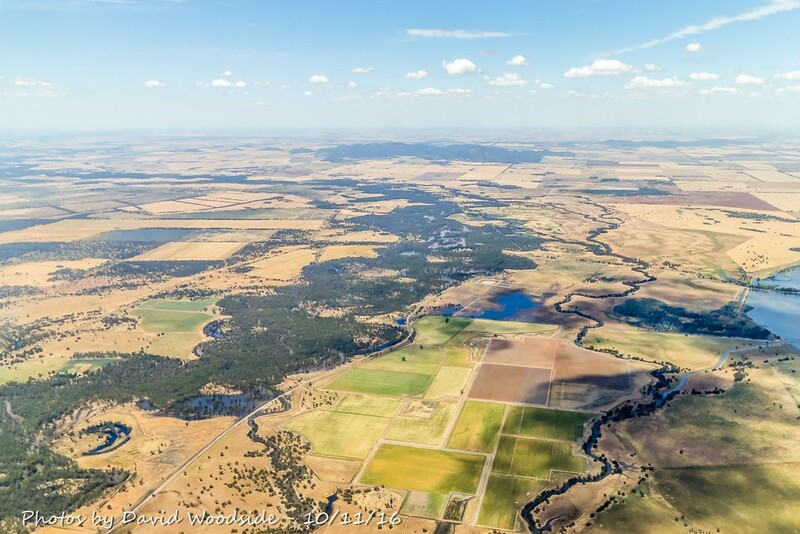 Our second flight was from Wyangla Dam (east of Cowra) to where the Lachlan joins the Murrumbidgee north east of Balranald. 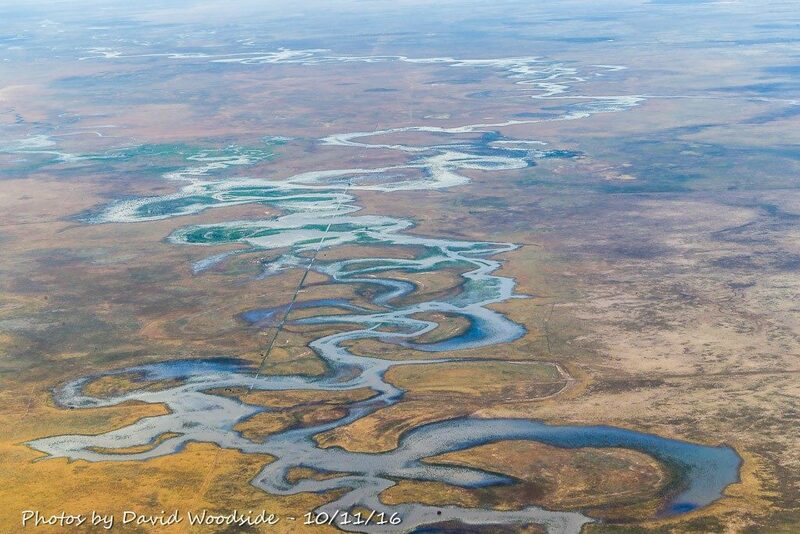 This flight was to look at the extensive creek system west of the Lachlan River from Hillston to Booligal. As a keen photographer, (landscape and birds), these events offer photo opportunities in more isolated areas. As the water recedes, I hope to visit some of the areas on the ground to view some of the changes that may have taken place and look for bird photo opportunities. Thanks to my brother Campbell Woodside and his aircraft which allowed me to record and take these images. A good and useful project. Well done. Very interesting images. Have you or will you do the same shot during a drought? Re: a return flight in dry times/drought – I must admit I had not thought of that – I think it is a great idea – will go on my list. I hope to visit the area in the next few months after the flood has subsided. Thank you for sharing this blog and the photos. I have traveled through some of this area and enjoyed it but seeing it from the air would be magic, especially with all the water about.